There is no other country in the world that produces as many kinds of spices as India. So, it is not very surprising that India is known as the "Home of Spices". The country's climate is perfect and very suitable for almost all types of spices. These spices are important for the country from the point of view of both domestic consumption and export. 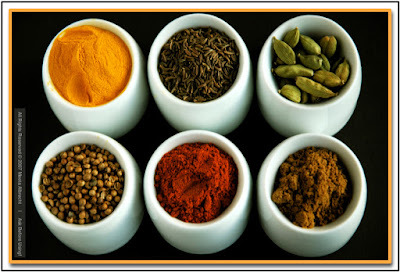 Indian spices are well known all over the world and cherished for their culinary value, tangy and aromatic flavors. They play a very important role in Indian cooking. Indians spice up their food, teas, drinks, sweets not only for the exquisite flavor it lends the dish but also due to the medicinal values they provide. We Indians believe that spices not only zest up the food but your life too! These spices can be combined in amounts to make specific spice mixtures used in everyday cooking. 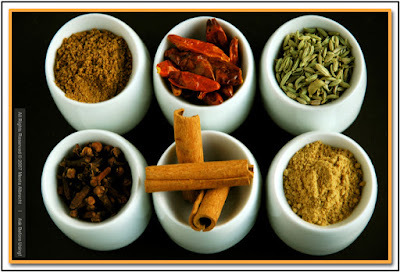 A very well known spice mixture is the Garam Masala. The word garam means hot, not "hot" as in spicy chili hot, but due to the fact that the spices blended in the mixture are said to increase the body temperature. Masala is a word very commonly used in Indian cooking and is simply the Hindi word for "spice." So, whenever a combination of spices, herbs and other condiments are ground or blended together, it is called masala. You can have a wet masala, which includes water, yogurt or other liquids to the ground spices making it into a more paste like consistency. These are often used to marinate meats, vegetables and fish or are sautéed in oil before adding the main vegetable or meat. This helps the delicate blend of flavors release their aromas into the recipe. Then there are the common powdered blend of spices. These can be bought in any Indian store or well stocked supermarket and depending on the quality, these can have a very good flavor and are comfortable to use. The whole masalas often includes, as the name suggests, whole spices such as whole cinnamon sticks, bay leaves, cloves, cardamom and black peppercorns. These are fried in hot oil before other wet ingredients such as onions, garlic or ginger are added. The classic Indian curry often combines the following spices - coriander, turmeric, cumin, ginger, garlic as well as other spices. My mum, nani (grandmum) and my masis (aunts) and probably many Indian housewives around the world store their spices in what is called a masala dabba - an Indian spice box. This spice box is round and made of stainless steel with seven individual stainless steel bowls. It comes with a small measuring teaspoon and must have a tight fitting lid in between the compartment for the bowls and the main lid. This ensures that the spices do not get all mixed up. Each bowl is filled with the seven most favorite and most commonly used spices in the household. I admit I do not have such a wonderful spice box, but have it on my wish list for the next time I am in Dubai or India. For the first Bollywood Cooking session I thought I would introduce you to some of the different spices used in Indian cooking. It is not necessary to stock up on each spice mentioned here but having the basic spices in your kitchen will help to make certain Indian dishes in a breeze. There are a few basic spices in Indian cuisine that go into most dishes. Often a very basic vegetable dish is made by adding cumin or mustard seeds and asafetida in some hot ghee (clarified butter) or oil until they sizzle and pop. Then the vegetables are added and steamed. This is mainly used in North Indian food and is used for its strong distinctive taste. When roasted, whole cumin seeds release more of the aroma and gives the dish a sweet flavor. Cumin seed powder lends a sweet and mild flavor to a dish and is one of the main ingredients in the Garam Masala. Mainly used for its fresh, soothing and cooling taste, coriander seeds are very light weight and have a mild flavor. Although they come form the same plant, they should not be mixed up with cilantro. In powder form it is an indispensable spice in the spice box. The aromatic fragrance of the roasted coriander powder enhances the taste of any dish. This is mainly used in Indian dishes for its medicinal properties and for the gorgeous intensive color it gives to the dishes. It is mildly aromatic and has a delicate scent of ginger. Turmeric is a wonder spice and is used throughout Asia to treat cases of stomach and liver ailments. It is also used exteranally to heal sores and in cosmetics. As a matter of fact one of my childhood memories of my mum is her in her weekly turmeric, sandalwood and honey face masks - LOL! The Indian chili powder is made from ground chilies and is often hotter that the chili powder available in the US/European stores. It has a pungent, hot aroma with a strong bite to it. This is often used as a digestive. It has a strong odor and a slight garlicky flavor. Do not taste this raw - it is NOT a pleasant experience. Using it in the recommended recipe however, works wonders. Just a pinch is used for cooking in dishes with lentils and beans. In India the black mustard seeds are preferred over the larger yellow ones found in the western world. 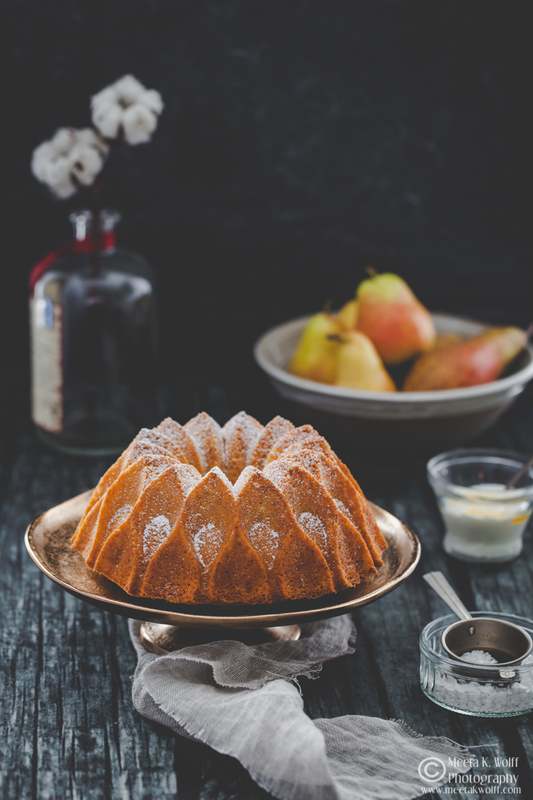 It has a strong but pleasing flavor and known for its digestive qualities. Mustard seeds are used in India to flavor vegetables, pulses and pickles. The mixture may include a variety of ingredients from cumin, fennel, coriander, cardamom, cinnamon, cloves, poppy seeds, saffron, pepper, chilies, and black cumin seeds and more. It can be used whole or in powdered form. It is often added at the end of cooking, so that the full aroma is not lost. Here is an interesting recipe, if you want to give making your own Garam Masala a go. In our vegetable dish from above, a complementary spice, like fennel or nigella seeds may be added. The dish may be flavored with ginger and sprinkled with turmeric and coriander powder. Although this is a basic Indian spice, it is not essential. It is mainly used in North Indian cuisine and posses digestive qualities. If you often visit Indian restaurants you will find these coated with colored sugar and offered after meals as a mouth freshener. Fennel seeds are also often used to spice up teas and drinks. This spice, which is actually a lentil, is used throughout India for the distinctive flavor it gives the dish and for its wonderful healthful properties. As a matter of fact, after turmeric, fenugreek seeds is the most medically useful item in an Indian kitchen. Also known as onion seeds, these are often used in North India to enhance vegetable dishes. Toasting the seeds briefly brings out the flavor. Oh ... and no they are not really seeds from onions. These have a strong peppery-thyme flavor. This poppy seed like plant comes from the lovage plant. It is very popular in North Indian cooking. It is used in preparing many Indian vegetables and pulses. Going back to our vegetable dish, you can choose to additionally add any of these secondary spices to jazz it up. Before adding the vegetables, add chopped onions, tomatoes and herbs to the spices above. Now you can add any of the secondary spices. Then add the vegetables and steam with a bit of water. This is used throughout India to flavor curries, vegetables, rice, dessert and the ever famous masala chai. The pod itself is neutral in flavor, it is the brown sticky seed inside the pod that gives that wonderful flavor. The pods should be kept whole, as ground cardamom quickly loses flavor. It is recommended to grind small quantities at home using a coffee mill. When a recipe calls for whole cardamom, the pods should be cracked open slightly to release the full flavor of the spice. This is such a versatile spice and is often used to flavor many desserts and cakes as well as savory dishes. It is the bark of the cassia tree that is mostly used in India. The real cinnamon stick, as we know it, found in most supermarkets have a more delicate flavor than the Cassia bark. Cinnamon sticks lend the dish a sweet and mellow flavor. In India it is often used in many curries and puloas to give the dish a rich flavor. Cloves are strong, pungent, and sweet. They are used in many meat dishes, marinades, pickles and in many garam masalas. Cloves are used whole or in powder form. In India clove oil is also used due to its medicinal value. Many Indians chew on cloves to relieve toothaches and it is used also as a mouth freshener after a meal. This is usually used in powdered form, grated freshly using a whole nutmeg. Often it is used to flavor Indian sweets, but may be used in some savory dishes. Finally there a few other spices and flavorings used in the Indian kitchen. These all help to add a special tastes and seasonings to the dish. Most households probably already have them stocked in their pantries. In most Western countries, our complex formulas of dried and fresh spices are often substituted by simple dry powder mixtures like the yellow curry powder. It is a myth to believe that this invention is used in any Indian household. As a matter of fact this powder mixture was invented by the British who, when they left India after the British Raj, craved the wonderful flavorings of the dishes they had enjoyed. Loosely interpreted the name is probably derived from curry as in gravy. Indian food is almost always prepared with fresh ingredients accompanied with the delicate combination of many fresh and dried spices. The exact recipes often vary from one household to another. I really do hope I was able to bring you a little closer to the multitude of spices used in traditional Indian cooking. For me, it was always so very tedious to figure out what spice and spice mixture is used when and where. However, as I started to enjoy cooking Indian food more at home I put together this list to help me understand the larger value behind each spice. The flavorings, aromas and the medicinal benefits it lends the dish. It was my mother who explained the usage of each spice category - from basic to complementary to secondary - by using the exact same example of the vegetable dish I have provided here for you too. This one simple example changed all my misconceptions about Indian cooking being too complicated. I hope I was able to do the same for you. Meeta darling you have virtually posted an Indian enspicopaedia here! Though keeping 20 bottles of spices is commonplace for us Indians, Im sure your post wil be highly enlightening to the others in the world. Bollywood masala indeed! Great work! That is amazing Meeta. There is noting better than the perfect blend of spices in a dish. The photots of the spices are breath taking, beautiful. I could smell many as you talked about them. 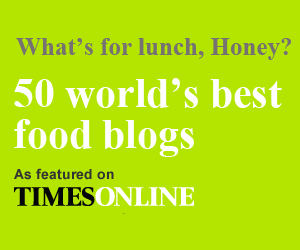 What an interesting and wonderful article about spices you have here, Meeta. Anytime i'm in doubt, i will come to this post. It must have taken you some time to put these list together just so you can educate people like me. You see, the long list of spices in a recipe is what have kept me from cooking indian food. Wow great post so much i didn't know about spices, even though i have loads never really thought about any of that when using them. As Nandita mentioned, cetainly an encyclopedia!!!!! My My!!!! What a delight to see this great summary for spices. I am not Indian but could be in view of the many spices I keep too ;-) Great post Meeta! Wonderful post Meeta, and I love the pictures. I need to do some more experimenting with some of these spices. Wonderful post, Meeta! You've highlighted all our basic necessaties in an Indian kitchen without overwhelming anyone with the list of spices found most commonly in Indian homes. I should know, I have this wierd affinity towards spies of any kind, wherein I buy anything and everything I see. My spice cupboard now is filled with tiny little bottles of these lovely flavourings! 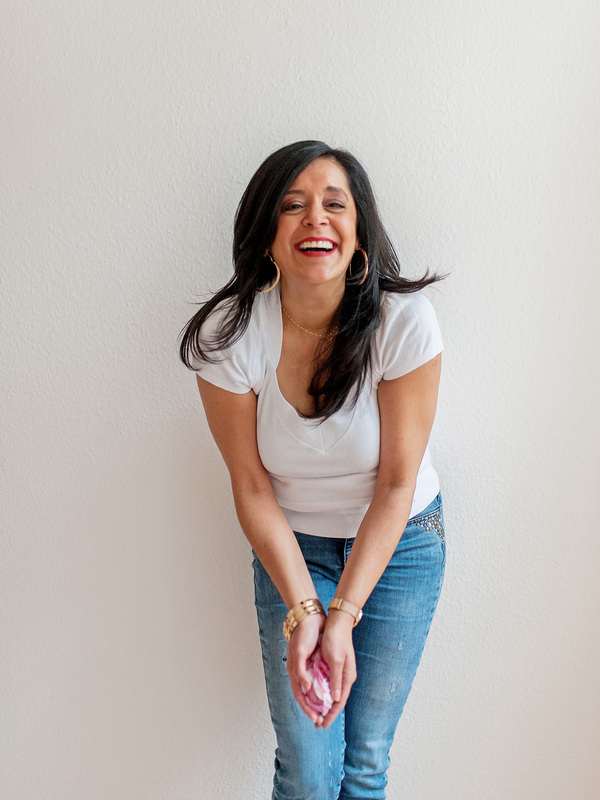 Wonderful intro to the spicy indian kitchen Meeta! Have done a great job in classifying them. This is such an informative post. Thanks for the wealth of info! 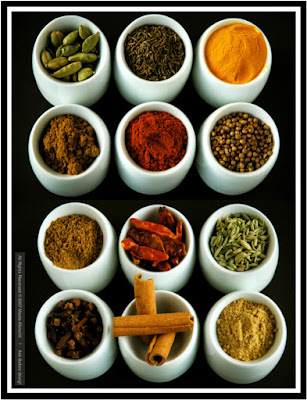 Thank you soo much for this informative post an the wonderful images of spices. 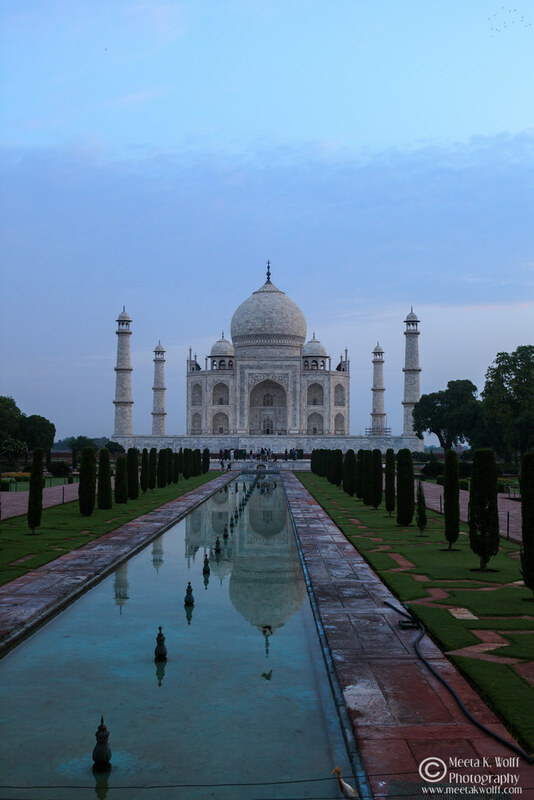 Meeta, this post is so wonderful and informative! Looking forward to next sessions of Bollywood Cooking! Thank you for explaining Indian spice philosophy so well. It was very informative. Meeta - Great work with the masalas. I enjoyed reading through the different masalas. Thanks! What a great reference post. Not one spice is missed out. I tried hard to find a missing spice but without success:) thanks for the wonderful write-up. I am going to print it out and keep a copy in my cooking notes. Wow, this is great! Thanks alot for posting it. I often get confused with Indian spices. Sometimes I follow the recipe but don't quite like the seasoning and I can't figure out which of the spices it is so that I could adjust it. This clarifies things quite a bit. what a nice catalogue of indian spices.. i actually traded in my masala dabba recently for a 16 bottle spice rack as i needed to hold more! What a wonderful post and so well written Meeta! Its very impressing and the pictures are very beautiful! A very great post! I surely will come back and check this info frequently! Thanks Meeta. Wonderful post Meeta! 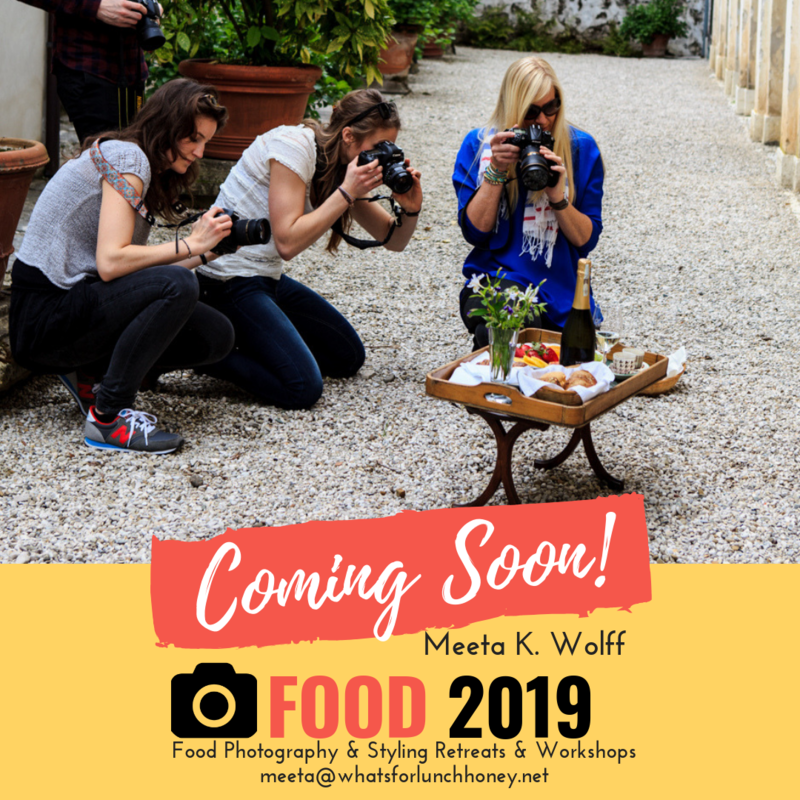 You know how much I love Indian food and having this opportunity to learn more is so exciting. Oh golly folks! I am really glad you all enjoyed this post. It took me a while to put this one together - first for me then for you. I hope I was also able to take away any fears or skepticism on the use of spices in Indian cuisine. Wonderful primer...now I can direct all my non-Indian colleagues to this page when they are curious about all the spices I used in my cooking. BTW, I didn't know mustard is called Mohri in Hindi. I thought it was Rai. I'm not a native hindi speaker, but did study it for 16 years. Also since you haven't listed it, Nutmeg is jaiphal in Hindi. I add you to my blog! Dear Meeta, I found your blog by accident. I was thinking how to give a description of Indian spices to them. Your masala encyclopedia was like a jewel to me. I have made a link to you through my blog. Thank you for this amazing reference! I often shop along Chicago's Devon Avenue, home to many Indian restaurants and shops. Now I'll have a better sense of what to look for and how to use it. A very good list Meeta. It would be great if you could do another post with South Indian Cuisine in mind, with the same spices. What a fantastic post. I learned so much reading it. Saving this in my del.icio.us cookbook as a reference too. Meeta, this is awesome! Thank you for the in depth lesson in these spices. I know recognise some of these spices as they are also present in Malaysian cooking (which I believe is also heavily influenced by Indian spices), but I've never really thought much about it when I'm using it. Like everyone's said, this is a terrific post. I'm especially glad to read a bit on asafetida. I'd never heard of it until recently, and I had no idea what it was. This weekend I saw a jar in the bulk section, and I took a big sniff. Very bad idea. So I'm glad to know that this changes character after cooking. Meeta, thank you very much for this interesting article that I will print out and keep for future reference. I'd love to see a picture of that spice box. Meeta, even better now with your links to certain sections of the post. Thanks. This post is so useful. Thanks so much for posting this. I'm a MALE grad student, and I'm trying to learn to cook for the first time. I grew up in a Pakistani household, but all the different spices scare me! This is EXACTLY what I was looking for. Thanks so much. Thank you so much! I am glad that this post is helping so many find their way into the pleasurable world of Indian spices and cooking! Meeta, I like the photo of Indian masala specially colorful masala in white with full life. A very good article on Indian spices. you can get indian spice boxes at world market - might be worldmarket.com but you can google it. Their spice boxes get good reviews. oh and thanks for the great gift idea for my boss :-) since I'll be getting the indian spice box for her. Any ideas on how to use garam masala? Coriander is a well-known masala in Indian cuisine.It is the chief ingredient of all food items in our country. It is commonly known as dhaniya or dhana. It can be used as a whole masala or in powdered form as well. Coriander is a flowering plant that belongs to the parsley family. Its leaves are lacy, shiny, soft and thin. Coriander seeds are plump and brown in color with hollow cavity which bear essential oils that lend to the flavor of dishes when used in cooking. Coriander leaves are also used in Indian cooking. Coriander leaves are primarily used for garnishing the food. Dhaniya powder has therapeutic as well as medicinal properties. It is often recommended for stomach related ailments.